Today is St. Nicholas Day. Christmas may be a little over two weeks away, but gift-giving doesn't have to wait until the 25th. Apparently the man we have come to call Santa was also, according to Wikipedia, "the patron saint of sailors, merchants, archers, thieves, children, and students." I like the idea of the time of year being special, and little gifts that might appear each night, rather than the large, pressured extravaganza that usually happens on the 25th. Especially important is that last line, "gifts are meant to be shared, not hoarded for oneself." Something to keep in mind this holiday season. 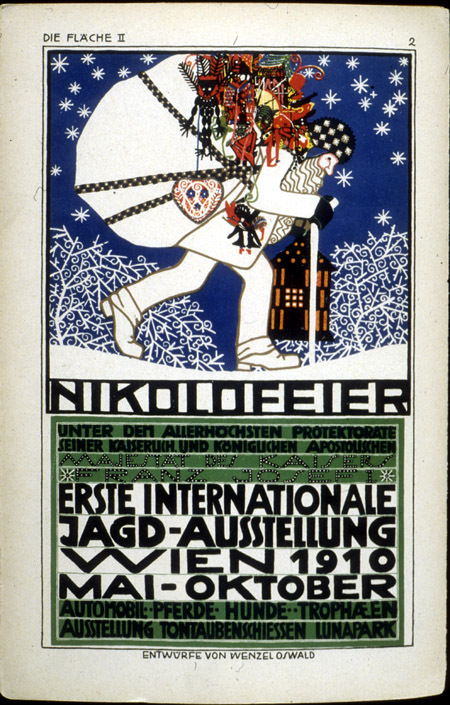 Die Fläche, St. Nikolas with toys, [1905-1910]. More images.